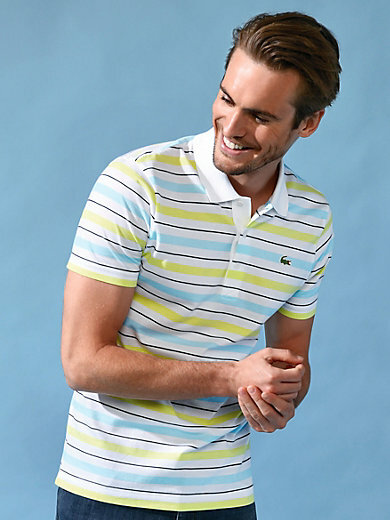 Polo shirt by LACOSTE with 1/2-length sleeves – Form YH3287. Summery striped jersey in textured material. 100% cotton. The polo shirt is machine washable.